BH90210 6.24, Coming Out, Getting Out, Going Out: You Must Get Back Together! Susan and Clare Demand It! Summary: Valerie visits Colin in the county jail, where he’s spend the last two weeks waiting to be bailed out for his police chase. His family doesn’t have the money (or care enough) to pay his bail. Valerie plans to have the After Dark appraised. Sometime in the past two weeks, Joe had his heart surgery, so that storyline’s over (yay!). Kelly’s also finished up her time in rehab. Joan has returned to town and continued reconnecting with Nat, but Nat tells Brandon, Steve, Susan, and Clare that things aren’t the same as they used to be, so they’re not dating. Kelly packs to leave rehab while Tara worries about finishing her last week without her roommate. Kelly lets her keep the sweater she borrowed. Greg the hot almost-doctor sees Kelly off. Clare and Susan stalk Joan, wanting to get her and Nat back together, but she’s on the same page as him about the two of them not having the same spark they used to. Valerie meets with a bail bondsman, using the After Dark’s equity to pay Colin’s bond. Jackie and David bring Kelly home, and she quickly notices that Donna and Clare have taken down Colin’s painting. She wishes they hadn’t redecorated without her. David gives her fish, which will give Tara something to kill when she inevitably single white females Kelly. He tells her that Colin’s still in jail and is probably facing time. Kelly wishes people wouldn’t be so hard on him. 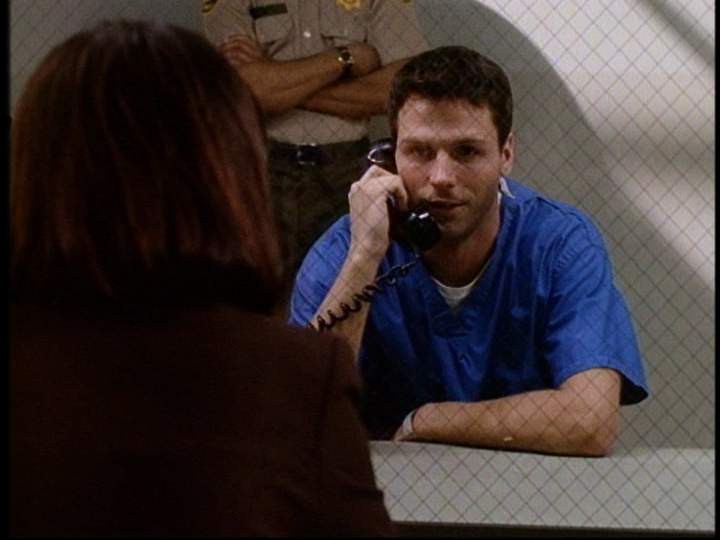 Later, Colin calls her to tell her he’s been bailed out and wants to see her. Kelly quickly hangs up. Valerie goes to fetch Colin and meets his public defender, who tells her he’s probably going to go to prison for three years (one if he’s lucky). Valerie doesn’t like that. When she takes Colin home, she tells him she’ll pay for him to hire a better lawyer. Susan and Clare are still trying to figure out why Nat and Joan aren’t working out, and it’s annoying their boyfriends. Susan wants to play matchmaker, and she suggests a triple date. Jackie brings Kelly a nice breakfast, which Tara kind of ruins by calling to complain about her own breakfast. Donna’s annoyed that Tara keeps calling. Clare and Susan arrange the triple date and tell their boyfriends to get Nat to agree to show up. Nat refuses, thinking that if he and Joan haven’t made things work out, they’re not meant to be together. Brandon won’t take no for an answer because he doesn’t want to have to tell Susan that he failed. David runs into Valerie at the Peach Pit and tells her he’s figured out that she paid Colin’s bail. He points out that she’s not doing a very good job of making the gang like her. Val replies that at least she’s loyal to Colin. David warns that if she hangs out with him, she’ll get herself in trouble. Just before the triple date, Brandon and Susan have to talk Nat and Joan down from various crises. Susan’s determined to make everything perfect. Kelly and Donna go to a video store (remember those? ), where they run into Greg. He asks Kelly out, which is so inappropriate I don’t even know where to start. The double daters (minus Brandon) take a limo to their first surprise destination. It turns out to be the hot dog stand where Nat and Joan had their first date. They reminisce about meeting at a casting call for Bonanza. Yet another phone call from Tara interrupts Kelly and Donna’s movie night together, but this time it’s actually important: Tara ran away from rehab and needs Kelly to come get her. The triple daters next go to the site of Nat and Joan’s old house, which is now gone. Joan tells the others that their parents didn’t like that they were together because she was Jewish and Nat was Catholic. That was part of the reason they split up. Somehow, being at the empty lot where they used to live makes Nat and Joan feel romantic. Kelly and Donna retrieve Tara, who begs to spend the night at their apartment. Steve decides that the triple date is the most romantic night he’s had with Clare. (That’s sad.) Kelly and Donna take Tara to the beach apartment for the night while Colin tries to sleep but has nightmares about prison. Valerie assures him that she’s going to make sure he doesn’t go to jail. ‘Cause she loves him or whatever. The triple daters end their night at a hotel that used to hold a nightclub. Brandon has spent the evening setting it up so they can all dance. Thoughts: No one came out. What a misleading episode title. I still need to know why Colin has a pay phone in his apartment. Did Tori Spelling’s contract only allow her to wear belly shirts? “Sure, Kelly, the clingy addict you barely know can stay with us.” Grow a spine, Donna! Why didn’t Brandon go on the triple date while, say, David set up the club? It wasn’t much of a triple date, since Susan was a fifth wheel. Also, poor David never gets to do anything fun.